The PPs, as a tribe, do not do ‘salad for lunch’. It is merely an accompaniment. Something to cleanse the palate while enjoying our mains of fish or meat. In my Aji’s house, a ‘salad’ usually meant khamang kakdi or a quick plate of tomato-cucumber slices. However, in my adult years I’ve learnt to appreciate and even relish salads. Come summer, I find they are a great way to lighten the load on the digestive system and also save on some time in the over heated kitchen. 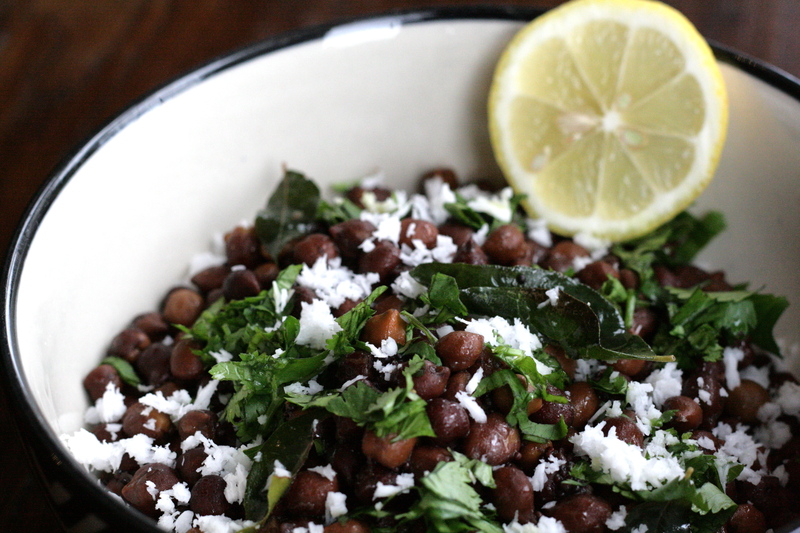 First up, is my favourite – a black chickpeas salad that can be served warm or cold. This entry was posted in Accompaniments and tagged black chickpeas, epicurious, Indian salads, kaale chane, koshimbir, Mumsnet Blogging Network, Yummly. Bookmark the permalink.